Advance Decorative Laminates has set a quality benchmark in the interior designing industry. It offers some of the finest grade compact and durable laminates in India. 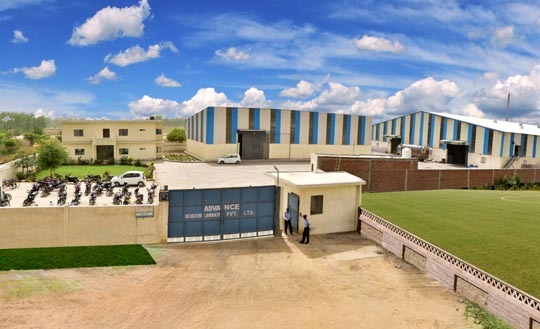 Incepted in 2016, the company is headquartered in Hapur and is a subsidiary of highly renowned Amba Group (established in 1991). Laminates are resilient and flexible products with unlimited potential in interior designing. However, it shares an invisible background. We work towards not only reinventing the way laminates are looked at, but also how they look. Using vibrant colours and finishes, we try to give laminates a complete makeover like never before. We conceive laminates not just as an economical countertop, but also an unparalleled design element that can add character to any décor. Our textured, feature rich, luxuriously designed laminates can enhance the visual appeal of your space. They are not just products, but application based collections which meet varying needs of architects, interior designers as well as consumers. Our laminates can also be customized to complement the colour and theme of your interior. With an intention to leave a lasting impression on the minds of consumers, we have established our own state-of-the-art factory and warehouse for manufacturing and storing top-grade laminates with unparalleled potential. All our products are tested on stringent quality measures to ensure they withstand varying temperature conditions. With our in-depth industry experience, unmatched skill-set and innovative vision, Advance Decorative laminates has created a niche in the Indian marketplace. As innovation and skills are the major factors behind the success of any business, we make sure our every member has the skill set to be competitive. In order to make this happen, we pay attention to skill development of our personnel. Besides the most skilled technicians of the industry, our manufacturing unit features the most advanced technology – in terms of machinery as well as the manufacturing process itself. Consequently, we have been able to impress our vast clientele.